Achieving a healthy, beautiful smile is typically the primary reason for receiving orthodontic care. If you're self-conscious about your smile, correcting your concerns with braces will greatly improve the way you look and feel. When your treatment is complete, you will have the smile you've always dreamed of and the confidence to show it off. We are dedicated to providing complete confidence and complete comfort throughout your entire orthodontic experience. For more information regarding specific treatments, schedule a complimentary consultation and read through the ABCs of orthodontic services below. Functional appliance therapy incorporates the use of various removable and fixed dental appliances to both move the teeth and modify the growth of the jaws. In some cases, a patient will only require the use of a functional appliance. However, in more advanced cases, additional treatment may be required to complete the case. As technology has advanced, so have braces. 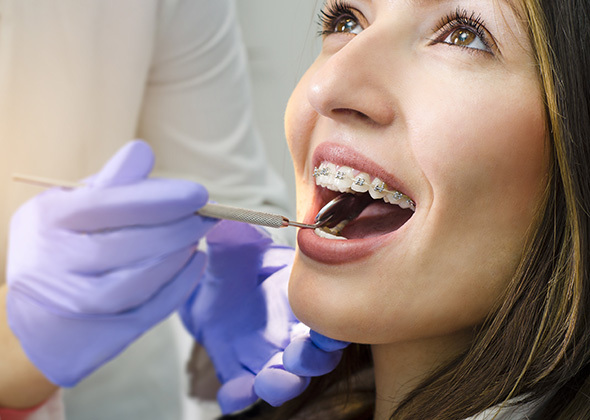 From metal, ceramic, or clear plastic bracket options to varying elastic colors, braces are much more conducive to your lifestyle than they have been in the past. Traditional braces are reserved for patients with moderate to extreme crowding, spacing, and skeletal problems. However, they can be used in conjunction with other techniques to treat complex cases more efficiently, precisely, and ideally. ClearCorrect and Invisalign are popular choices for thousands of patients who are looking to develop a beautiful smile. These technologies involve state-of-the-art dental scans that produce a series of custom-made, clear, plastic trays that are used to straighten the teeth. 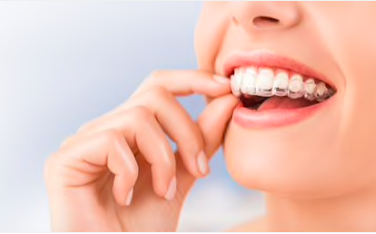 When deciding between ClearCorrect/Invisalign trays or traditional braces, it is important to consider the many advantages of the clear, custom trays. Without wire to chafe at your lips and mouth, they are considered to be much more comfortable. Unlike braces, there are zero food restrictions, and oral hygiene is much simpler. Lastly, the clear plastic trays that are used make the system virtually invisible to the average eye, and thus, they cannot be seen throughout the entire process. So, whether your teeth are crowded, too far apart, or have shifted since wearing braces, you'll have a new reason to smile. Contact us today to discuss which technique is right for you.